The following are detailed specifications about the Three-way Compact Fluorescent Light Bulb. Medium base with 3-way dimming capability. 2700K color temperature 82 CRI Equivalent to a 30/70/100-watt bulb. Energy Star qualified. Hard to find three way cfl at the box stores, could be priced a little less to make five star,love the choice of lighting level. 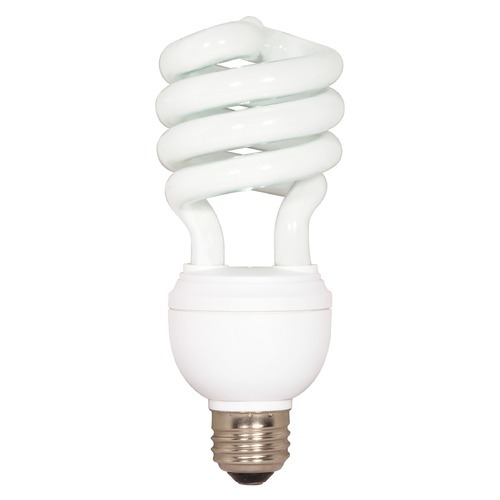 This Three-way Compact Fluorescent Light Bulb is part of the $item.xCollectionName Collection from Satco Lighting. The following items are also part of the $item.xCollectionName Collection.